The investigation into the disappearance of Rudy Smith continues, with the police having officially classified his disappearance as a murder. 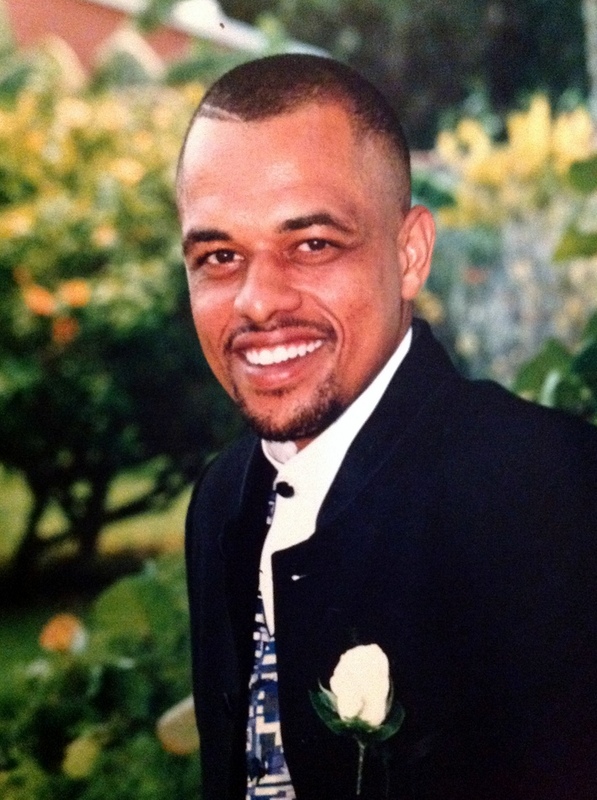 The 41-year-old was last seen on July 9, and the police located Mr Smith’s motorbike in the waters in front of Grace Church on North Shore on July 16. Last night a police spokesperson said: “The murder inquiry regarding the disappearance of 41 year-old Pembroke man Mr. Rudolph (Rudy) Lamar Smith is ongoing. “Mr. Smith, described as brown skinned of slim build, 5’8” tall with close black hair, brown eyes and a goatee, was last seen alive around 7pm Monday July 9th 2012, walking in the area of One-Way Deepdale in Pembroke parish. His family have previously said they really want closure, and have appealed for members of the public to step up if they know anything and contact the police or Crime Stoppers. what gets me so mad, is who ever the person or people are that did this, sleep every night, eat every day, smile, laugh, hug, kiss, make jokes, every thing that Rudy use to do. He/they have NO i mean NO heart. Their is only one person that will judge them on judgement day. His/their day will come. You can NOT hide it for ever. You might as well come clean NOW. All the family is asking is to come clean. They just need closure. His mother and sister and granny might not be able to do anything that that person or people are doing on a daily basis. Bermuda is SO small, but yet we cant figure this one out. It hurts. They have done search and while all this is in the paper and people are talking about this, i am sure they have even seen people out searching for him, and guess what who ever did this is just smiling to himself/their-selves. But yet in the same smile they want to talk about it like they dont know what is going on. HOW CAN YOU SLEEP KNOWING THAT YOU HAVE DONE WRONG TO A FAMILY…… JUST SIT BACK. IF YOU HAVE ANY CHILDREN ONE DAY… OR YOU MIGHT HAVE SOME NOW. WOULD YOU LIKE IT TO HAPPEN TO YOURS…… DO YOU HAVE A HEART. WELL ONE DAY ONE DAY YOUR DAY/TURN WILL COME. THERE IS A PLACE CALLED HELL. YOU NEED TO COME CLEAN WITH YOURSELF, SO YOU CAN HAVE SOME PEACE TO REST IN. THAT IS ALL I HAVE TO SAY. GOD DONT SLEEP. TOO THAT FAMILY. I SEND A NICE BIG HUG THROUGH MY COMPUTER TO YOU. IT HURTS ME EVERY TIME I SEE THIS IN THE PAPER OR ON BERNEWS. IT REALLY DOES. PLEASE KEEP PRAYING CAUSE GOD DONT SLEEP. BE BLESSED. And this is why the intensive development being allowed at Tuckers Pt is a really bad idea. It hastens Bermuda’s transition from suburban to fully urban. Did you know that all those guys that were down @ parliament that were workers @ Tuckers Point fighting FOR the SDO in order to save jobs were all let go as soon as the SDO went through? The saving jobs mumbo jumbo that they used as collateral to get what they wanted was all a bunch of bs as many of the older men were let go as soon as the new group took over the show. Not to mention where is the EIA that MUST be completed before ANY ground can break? This is an unfortunate and sad ordeal for any human being to encounter! I feel for his family and friends. Bermuda is small, and one thing i’ve learned is that in a country where the economy I failing…money talks. Obviously ppl know what happened and the whereabouts of Rudy. I say find every person affiliated with gands should be held responsible! Either remand every known gang member, make them (or their families) accountable every day he hasn’t ‘t been found. I know that’s stretching it but hey, families know when their family involved in stuff…and when the consequence falls on the families….trust me, ppl will talk. Secondly…start thinking of a reward….right now money is everything to these gang members….that will be a good bait to capturing a lot of other criminals and gang members! In the meantime, I pray that God intervenes and brings peace to Rudy and his family! To the culprits and cowards of this heinous act….Only God can ans will save you! Time has come and gone for the authorities to kick a$$ and take names later . If anyone has harmed this man , may the wrath of Karma severely deal with you . Maybe he Skipped the Island Via Boat. Not trying to be insensitive but I kno People that have left the island via small boat n been picked up by a bigger boat !